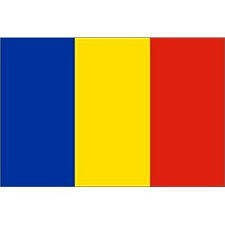 Mihai MICU is Senior Researcher at the Romanian Academy – Institute of Geography, Bucharest, Romania. He is the Coordinator of the Geomorphology Working Group within the Institute of Geography and also of the Patarlagele Natural Hazards Research Centre, situated in Buzau Carpathians, Vrancea seismic region. Formerly rewarded with an IAG Young Geomorphologist Fellowship (6th ICG Zaragoza, 2005), he acted as Co-Chair of the IAGeomHaz Working Group between 2014-2017. 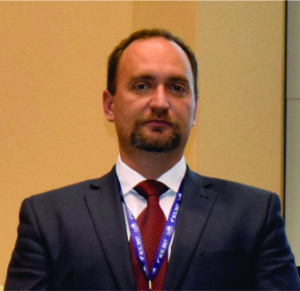 He was elected Vice-President of the Romanian Association of Geomorphologists between 2015-2017 and President of the same association over 2017 to date. He participated, as coordinator or key-person, in several national and international projects (FP6, FP7, EC EUR-OPA, AR-WBI, BBF, COST-Actions) and was session Convener at several prestigious international conferences (IAG, EGU, EUGEO). He is member of the editorial and reviewing committees of several geomorphology journals (Landslides, Natural Hazards, Journal of Maps, Natural Hazards and Earth System Sciences, Quaternary International, Environmental Earth Sciences, Romanian Journal of Geomorphology/Revista de Geomorfologie). His main topics of research are focused on the morphodynamic analysis of slope processes, with a special focus on landslides for assessing susceptibility at local and regional scale, landslides frequency-magnitude correlations, landslide hazard evaluation, landslide risk analysis, assessment and management, earthquake-induced landslides. His main area of research is the Romanian Curvature sector of the SE Carpathians, an area recognized as an European multi-hazard risks hotspot. He has published more the 40 papers (articles, book chapters) in international peer-reviewed journals and books.